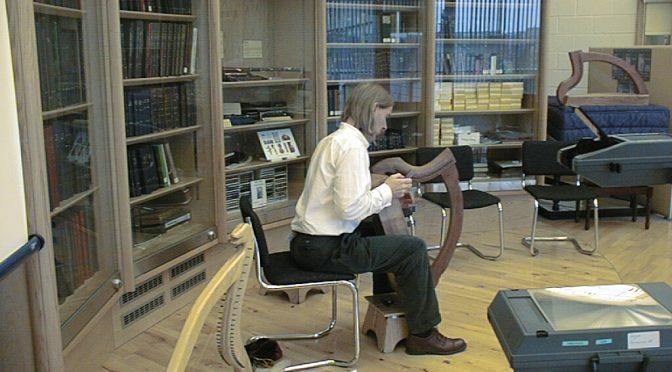 I think I first played a public concert on the harp almost 10 years ago, on 4th October 2006, for the first ever Friends of Wighton lunchtime concert in the Wighton Centre in Dundee. But yesterday’s in St Andrews was the first I have ever tried filming. I’m playing the same programme today, at Verdant Works in Dundee, for the first ever lunchtime concert there. Lovely and excellent sound quality Simon. Thank you for this video. Just sorry the event was when I was away in Skye.